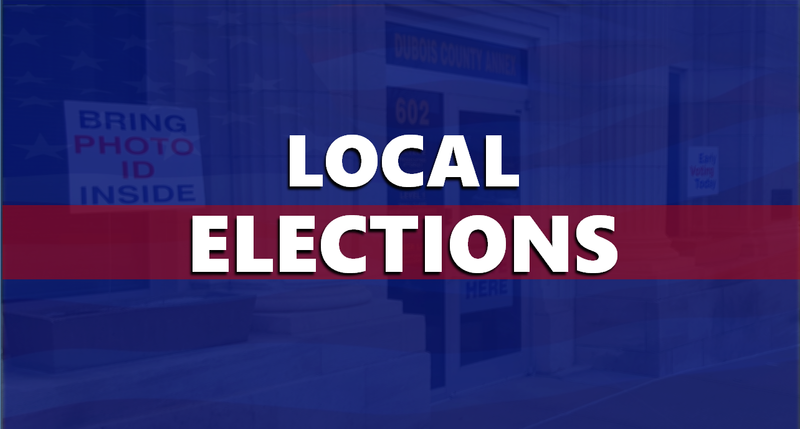 DUBOIS COUNTY - Early voting in this year's Municipal Primary Election is set to begin April 9th in portions of Dubois County at the county Annex and other locations. You can find information below about early voting, and voting locations for those who chose to wait for Primary Day, which is May 7th. April 9th - May 6th: Mondays, Tuesdays, Thursdays, Fridays from 8:00 a.m. - 4:00 p.m. / Wednesdays from 8:00 a.m - 6:00 p.m.
Saturdays, April 27th and May 4th from 8:00 a.m. - 3 p.m.
April 29th - May 4th: Monday - Friday from 10:00 a.m. - 6:00 p.m.
April 29th - May 4th: Monday - Friday from 8:00 a.m. - 1:00 p.m.
Saturday, May 4th from 8:00 a.m. - 1:00 p.m.
ON PRIMARY DAY - MAY 7TH - Polls are open from 6:00 a.m. - 6:00 p.m.